With so many made in North Carolina products to enjoy, summer is a wonderful time to Eat and Drink Local. This week I share with you a tasty line up of all local summer flavors to help you keep cool in the heat of the season. Each of these products has a story, that I am delighted to share. It was my pleasure to showcase these Got To Be NC products on a summer episode of WCNC’s Charlotte Today hosted by my friends Colleen Odegaard and Eugene Robinson. The video at the top of this post is the “Eat and Drink Local” segment showcasing each of these wonderful product, now here is the rest of the story! The story of Kyookz and owner/operator Lindsay Bisbee starts in the same way lots of local products came to be. She made her homemade refrigerator pickles for family and friends. Here pickles were so delicious someone said she should start selling them. She did and that is how this story began. Today under the Kyookz Artfully Pickl’d brand she offers three varieties of her delicious pickles, with a little something for everyone in the Kyookz line. Flavors include a dill, the original artisan recipe; a spicier version; and a spicy & crunchy sweet sliced interpretation of the same. Kyookz Pickles are made with local ingredients – no chemical preservatives and each jar in individually packed. Note to cooks – the brine makes a wonderful marinade or base craft cocktail base, so once the pickles are gone – just keep on reworking the flavor into all your favorite recipes. Nothing says summer like fresh churned hand-crafted ice cream and the ice cream makers at Sunshine Sammies offer that in spades! These more-than-a-handful sized frozen sammies are big enough for two to share, but they are so delicious I’m thinking you’ll want to keep a whole one for yourself! The recipe starts with a locally prepared ice cream base, using local milk sourced from a radius of 150 miles of the company’s home of Asheville NC. Owners Susie and Luke make the flavor components – that is, the strawberry puree, the cookie dough, etc. ; and they bake all of the cookies from scratch and then they sandwich the lot together for a perfect way to eat and drink local the whole family will enjoy. This adventure started in 2003 with a cute little solar powered ice cream truck; and continues today. The truck is available for special and private events; but the action takes place in Sunshine Sammies brick-and-mortar ice cream shop and bakery located in Asheville’s popular South Slope at 99 S. Lexington Avenue. It is here you’ll find the popular sammies or your favorite seasonal ice cream flavor by the scoop in a cup or a cone. Nothing like a rich, oh so, chocolately brownie or a slice of just baked cake to cap off lunch, dinner or enjoy as an afternoon snack; but with summer temps soaring in the 90s to the 100s who wants to heat up the oven to bake? Enter Mary Tantillo, owner of Dolci di Maria with the answer to your dreams. Mary’s decadent gluten-free and dairy-free individually packaged desserts started as a way to make a delicious dessert for her kids who had allergy sensitivities. 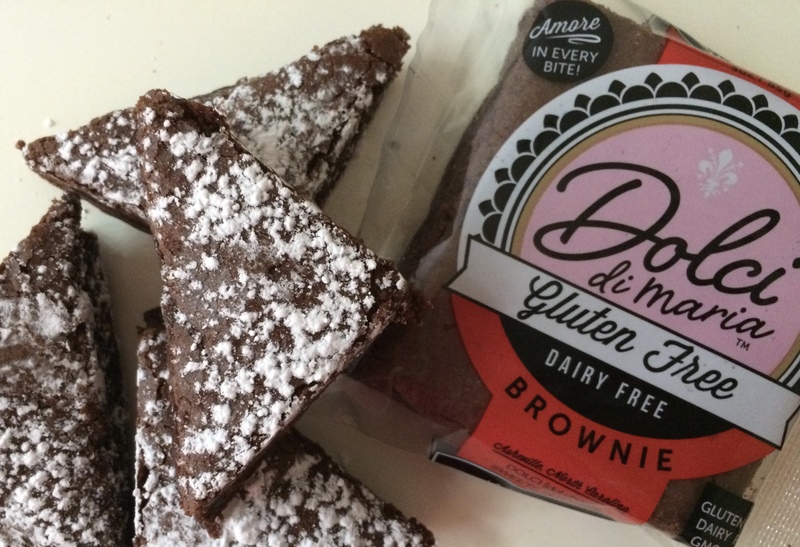 Her recipes were so good that she started selling product and it wasn’t long before a company – Dolci di Maria – was born. This summer Dover Vineyards owner and wine maker Elizabeth Dover has us all in “A State of Rose” with her delicious North Carolina Chambourcin Rose. This wine is light, not sweet and the perfect pairing for any summer supper or for sipping on its own. The farm and the vineyards at Dover started with the planting of the first vines in 2009. Today, owner and wine maker Elizabeth Dover, makes and bottles delicious Italian and European varietals from grapes grown in Cabarrus County, NC and sells at all of your favorite neighborhood wine shops. Look for this fabulous way to drink local at bottle shops such as The Assorted Table at Seventh Street Station, The Common Market in Plaza Midwood, Salud Beer Shop in Noda and Earl’s Grocery in Elizabeth. In addition to grapes the farm at Dover Vineyards also grows lots of seasonal produce. You can shop directly from Elizabeth at the Saturday morning Plaza Midwood farmers market in front of the Common Market; and then go inside to buy her wines. Time to drink in a little Sunshine! Leave it to a local North Carolina born company to tame down the craziness of the energy drink business and give us something that is refreshing and good for you all at the same time. Sunshine beverages have a citrusy base and are packed with electrolytes, Vitamin B12 and bit of organic caffeine. In three fabulous flavors they provide just the little lift you are looking for and are a a great more natural alternative to a soft drink. Enjoy the Ginger Berry, made with real Ginger Root extract; the Clementine Twist, packed with 200% of your daily dose of Vitamin C; or the Blueberry Lemonade as a wonderful way for the whole family to eat and drink local. Serve this Sunshine slightly chilled as it pours from the can, or use it in recipes for frozen summer treats like creamsicle bars and granitas; as marinades for local seafood or pork, or as a flavorful mixer for your favorite cocktail or mocktail. Shrubs are not just for landscaping. They are also a wonderful and good-for-you way to eat and drink local. Shrubs actually aren’t a new concept, but in Charlotte NC, when chef turned farmer, Jamie Swofford of “The Chefs Farmer” started bringing back an age old recipe for sweetened or herbal vinegars based beverages, the shrub has captured everyone’s attention once again. Swofford not only raises crops on his farm in Cleveland County, but he’s forager always on the lookout for cool edible eats which he’s been incorporating into his Old North Shrub line of beverages. Shrubs are not fermented like kombucha, but instead are made with vinegar, sugar and a variety of local seasonal produce and herbs – delicious when combined with plain seltzer water for a healthy and all natural spritzer. They also make for the perfect all local cocktail or mocktail mixer. With three or four flavors each season of what Swofford calls “Drinking Vinegars” in his line of Old North Shrubs, he’s been recognized with top accolades with a first place wine in the Food & Drink category of Our State’s 2017 Made in NC Awards. All the more reason you must add a bottle or two of a seasonal Old North Shrub to the many ways you now eat and drink local. The project started when his friends at Free Range Brewing in NODA were looking for something non-alcoholic to have on tap at their brewery. Now Swofford’s Old North Shrubs are available on tap and by the bottle at Free Range and are used in many at craft cocktail around town at chef driven restaurants such as at Heirloom Restaurant and The Asbury at the Dunhill Hotel, just to name a few. Love the idea of learning more about how you can Eat and Drink Local? The newest issue of Charlotte Living magazine is on newsstands now and includes a round up of six more wonderful ways to support local producers from North and South Carolina including Bold Rock Cider, Hickory Hill Milk, Clemson Blue Cheese, Roots Hummus, Uno Alla Volta Cheeses and No Evil Foods… Pick up a copy soon! You’ll find the Springtime Eat Local, Drink Local blog post with most of these local brands here along with a terrific summer recipe for my Local Dairy Lemon Pots de Creme made with Hickory Hill Whole Milk. Enjoy!